The Socceroos will be going to Russia. 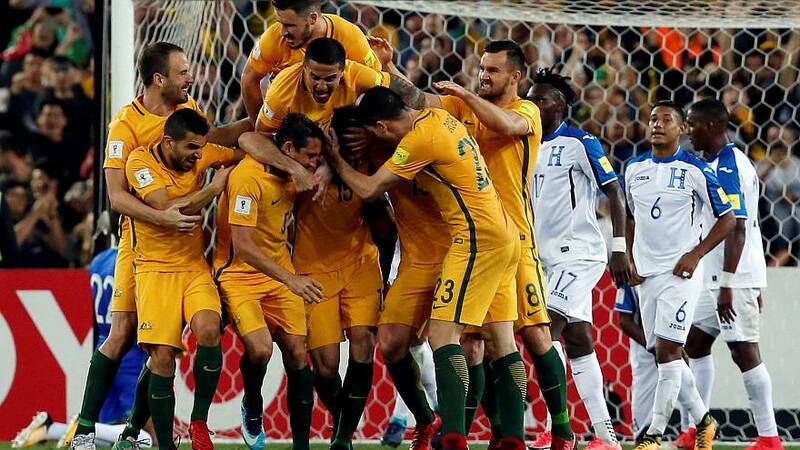 Australia booked their fourth world cup appearance in a row by beating Honduras, captain Mile Jedinak the hat-trick hero via this free kick, and two penalties that scuppered the central American side. All the goals came in the second half as both teams played cagily following the earlier draw played out between them in Honduras in the two-legged play-off. With only five minutes to go Australia were three goals to the good and on their way, but there was just time for a consolation goal for Honduras that will be no consolation at all. The win was a cue for fireworks and celebrations in this sports-mad country, which despite the wealth and depth of sporting talent available, has yet to really shine in football, or at the world’s premiere sporting occasion.